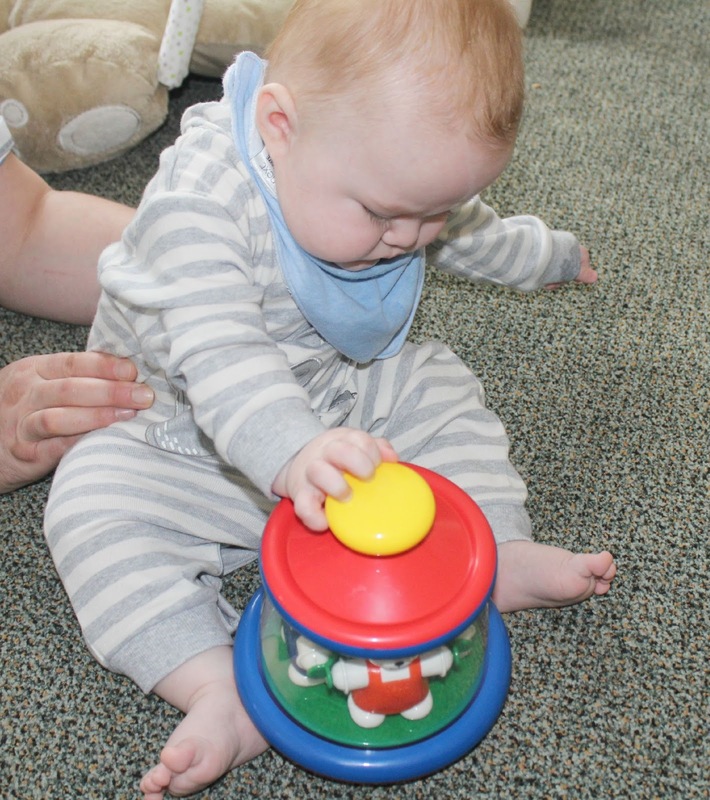 As part of our role as Ambi Ambassadors, we have been testing out toys from the fabulous Ambi Toys range at Galt - so far Noah has tried out the Humpty Dumpty toy and the Activity Case, and Tyne has tried the Lock Up Garage. Today we're reporting on the Ted & Tess Carousel - which Noah has been loving! 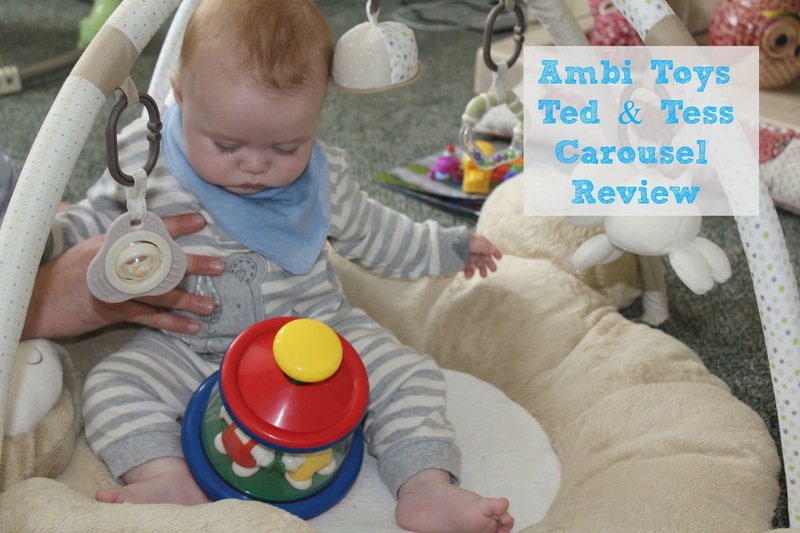 The carousel, like all ambi toys, is very bright and colourful which immediately helps to draw Noah's attention to it - he has just started to sit up unaided so these kinds of toys are perfect for him right now as they encourage him to up and interact with them. He can't quite manage to press down on the button to spin the carousel himself yet but he does spend a long time wacking at it with his arms in an effort to do so! 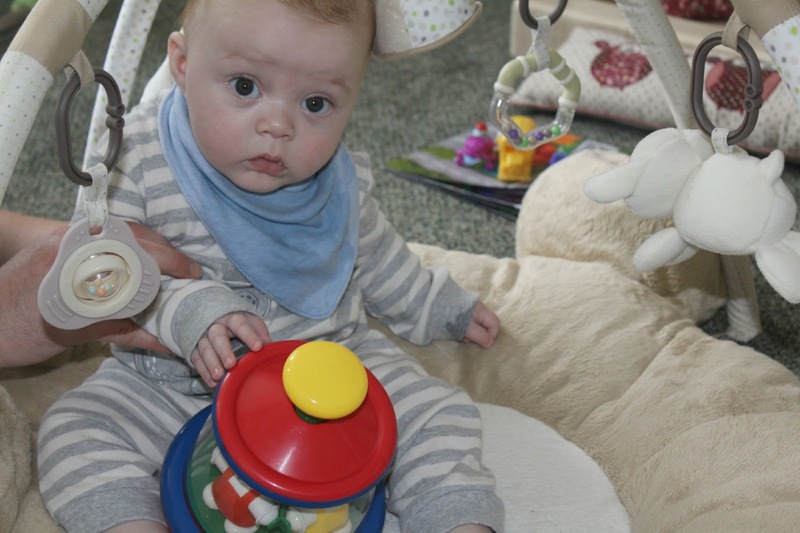 He loves watching the cute little teddies inside spin around, it keeps him entertained for a good 10 minutes at a time. 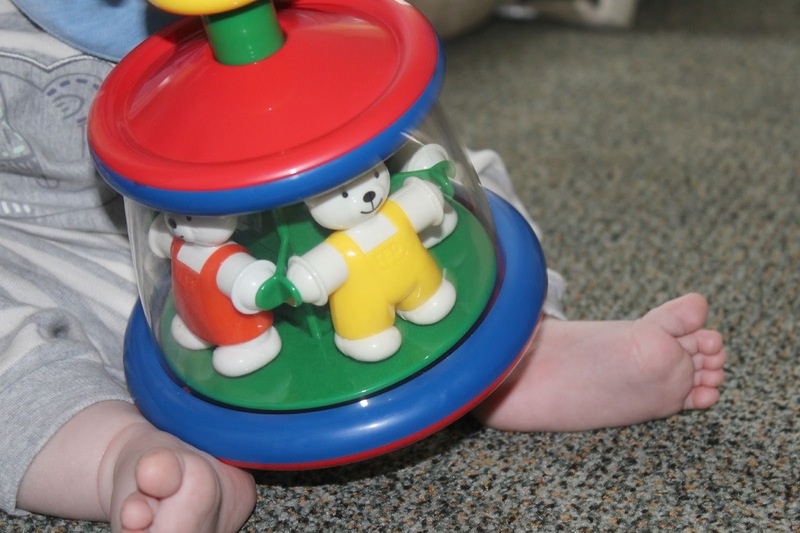 The carousel is designed to help teach little ones about cause and effect - the idea that you hit the button which causes the Teddies inside to spin around and around for your entertainment - I love seeing Noah engage with toys like these as you can almost see the realisation on his face as it starts to dawn on him that if he wants the teddies to spin again he has to press the button. Noah has become much more steady with his sitting lately, and I do think that use of these kinds of "sit up" toys has helped a great deal...before we started using them he was only too happy to flop on his back chewing on a rattle or a soft toy but the desire to interact with these sitting up toys drives him to stay upright for longer. 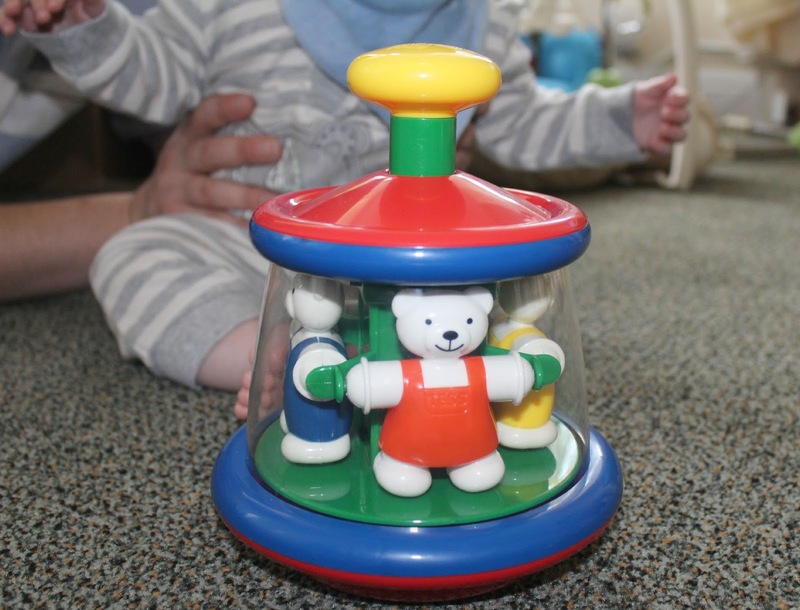 Noah is a very big fan of this super cute toy, and I can see it getting a lot of use over the coming months - it would make an ideal Christmas gift for a baby of Noah's age or slightly older, and the bright colours and pleasant packaging certainly make it an appealing gift idea. Galt currently have a great offer of free UK delivery on orders over £20.00 too, so don't miss out on that!